ATLANTA, October 1, 2018 – Lloyd Bell of Bell Law Firm, Georgia’s preeminent law firm for victims of medical malpractice, is now certified as a medical malpractice specialist by the American Board of Professional Liability Attorneys (ABPLA). Certification recognizes superior knowledge and expertise to handle highly technical cases involving malpractice litigation. Comprised of the nation’s leading trial advocates in the area of professional negligence law, ABPLA is the only organization accredited by the American Bar Association (ABA) to identify and board-certify attorneys in the areas of medical malpractice and legal malpractice. ABPLA Board Certification is restricted to those practicing attorneys who, because of their recognized ability in the area of professional negligence law and their qualifications consistent with ABPLA standards, merit particular recognition as specialists in these areas of practice. “The ABPLA’s focus on ethics and excellence closely aligns with the ideals I put forth in the practice of law and on behalf of my clients. The certification provides an additional level of credibility, for which I am honored,” notes Bell. The ABPLA's focus on ethics and excellence closely aligns with the ideals I put forth in the practice of law and on behalf of my clients. The certification provides an additional level of credibility, for which I am honored. Demonstrating significant portion of practice devoted to professional liability. Documented experience in relevant trial, mediation, arbitration and other contested matters. Judge and attorney references attesting to substantial involvement and high level of competence. The American Board of Professional Liability Attorneys has been certifying lawyers since 1972. For more information about the ABPLA, visit www.abpla.org. Bell Law Firm is Georgia’s preeminent firm for victims of medical malpractice. Founded in 1999 by Lloyd Bell, the firm has recovered more than $100 million for patients and families of people injured or killed due to medical negligence. Bell has more than 25 years of experience in federal and state courts and he has represented clients in more than 75 jury trials and hundreds of successful settlements. 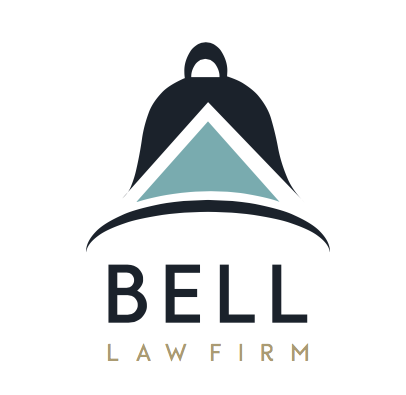 Specializing in litigating misdiagnoses, surgical errors and other types of malpractice, Bell Law firm differentiates itself with deep legal expertise, a mastery of technology in the courtroom and a compelling manner of storytelling. In 2018, the firm was recognized as Personal Injury Litigation Team of the Year by The Daily Report, the leading source of legal news in Atlanta.